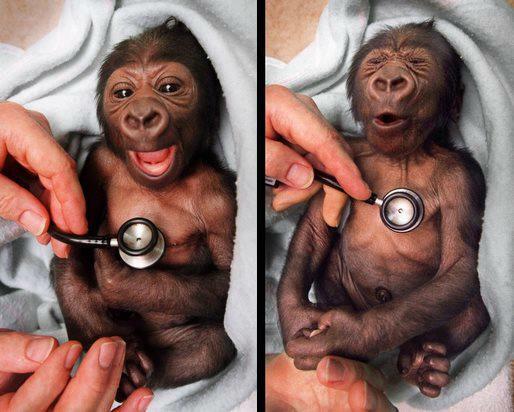 Cold stethoscope + baby gorilla = your heart melting. This is Yakini, who was born in Australia 1999. Here he is this past November for his 12th birthday, as you can see he has grown quite a bit.